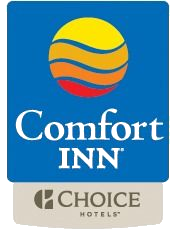 Book with us at Comfort Inn Pickering to ensure that you have a stay that is as affordable as it is comfortable. Our Comfort Inn hotel is conveniently located on Highway 401 and we are just a short drive form some great attractions such as the Toronto Zoo, OLG Slots at Ajax Downs, Frenchman's Bay and Pickering Markets which offers shopping venues of over 600 vendors. Business in close proximity to us are Ontario Power and Generation, Volkswagen of Canada, Pitney Bowes Canada and General Motors of Canada (GM Canada).